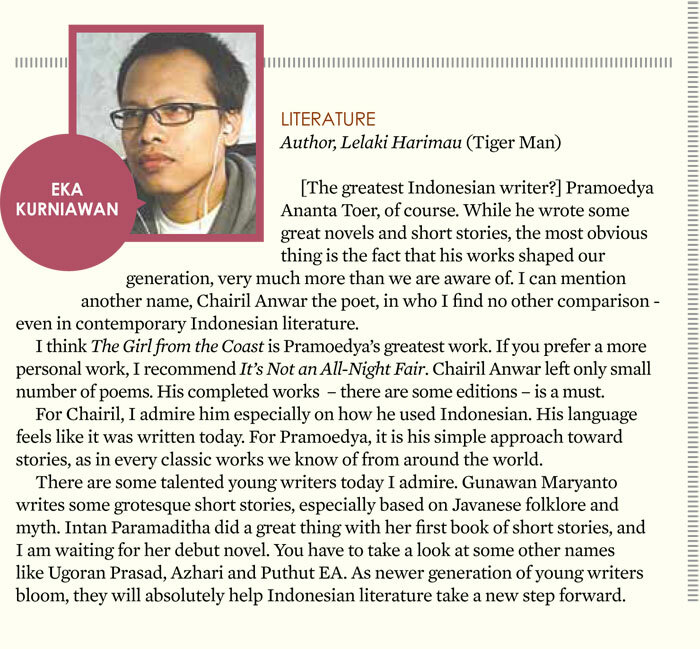 Here is my glimpse view of Indonesian greatest writers, and some talented writers of our new generation (from JPlus, 16 August 2015). This entry was posted in Cool Stuff, In English and tagged Azhari, Chairil Anwar, Gunawan Maryanto, Intan Paramaditha, Pramoedya Ananta Toer, Puthut EA, Ugoran Prasad. Bookmark the permalink.